One of the few decent pictures I managed to get of a Class 46 in service was on the slightly premature farewell railtour! 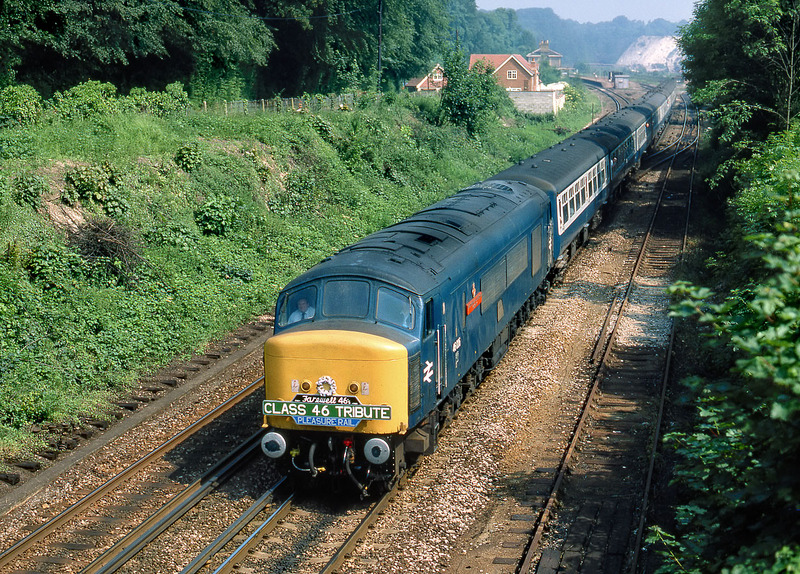 46026 Leicestershire and Derbyshire Yeomanry (or Lady as she was known) passes Micheldever at speed with the Pleasure Rail 'Class 46 Tribute' railtour on 17 June 1984. This loco, the only named member of the class, managed to survive until the remainder of the class were withdrawn in November 1984, being broken up at Doncaster the following year.